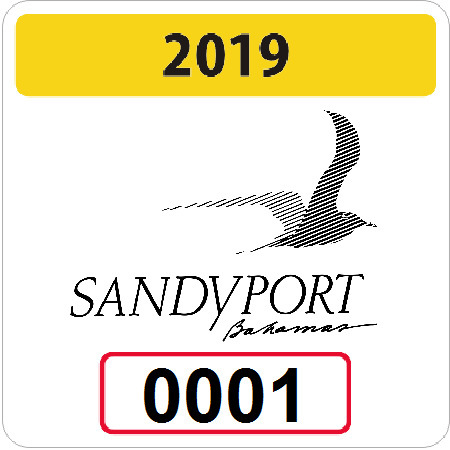 2019 auto identification decals are now available for collection from Security Services located at the Sandyport main entrance. Under the policy for watercraft moored in Sandyport, all existing permits will expire at midnight on December 31, 2018. Please complete the application form and submit to Security Services together with current documentation. Vessels without or within invalid permits will be denied access to the waterways. Full details and the application form are available here. The certificate of registration of a boat for hire shall be affixed in a prominent place on such boat. The licence issued to a person to act as master of such a boat shall be available at all times for inspection.